This article is about the Cuban scholar. For the Mexican footballer, see Fernando Ortiz Fernández (footballer). For other people, see Fernando Ortiz. Fernando Ortiz Fernández (Havana, 16 July 1881 – Havana, 10 April 1969) was a Cuban essayist, anthropologist, ethnomusicologist and scholar of Afro-Cuban culture. Ortiz was a prolific polymath dedicated to exploring, recording, and understanding all aspects of indigenous Cuban culture. Ortiz coined the term "transculturation," the notion of converging cultures. Disillusioned with politics in the early period of Cuban history and having been a member of President Gerardo Machado's Liberal Party, and a Liberal member of its House of Representatives from 1917 to 1922, he became active in the early nationalist civic revival movement. Throughout his life Ortiz was involved in the foundation of institutions and journals dedicated to the study of Cuban culture. He was the cofounder of the Cuban Academy of the Language in 1926 and of Surco (founded 1930) and Ultra (1936–47), both journals that provided information on foreign journals. In 1937 he founded the Sociedad de Estudios Afrocubanos (Society of Afro-Cuban Studies) and the journal Estudios Afrocubanos (Afro-Cuban Studies). He helped found the journals Revista Bimestre Cubana, Archivos del Folklore Cubano and Estudios Afrocubanos. Fernando Ortiz also developed a theory of activism within Cuba's political system saying their African traits characterized the Afro-Cubans negatively and primitively. His books, La Africania de la Musica Folklorica de Cuba (1950), and Los Instrumentos de la Musica Afrocubana (1952 - 1955) are still regarded as key references in the study of Afro-Cuban music. 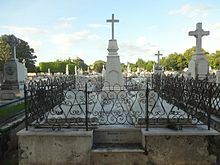 Fernando Ortiz died in Havana in 1969 and was interred there in the Colon Cemetery. After Ortiz's death the government established the Fernando Ortiz Foundation, which devotes itself to studies of ethnology, sociology and Cuba's popular traditions. In current times the foundation continues the work started by its founder and initiates serious scholarly discussions around many cultural issues, including troubling matters like the survival of elements of racism and racial prejudice, as well as measures that must be taken to confront these problems. Los bailes y el teatro de los negros en el folklore de Cuba (1951; “The Dances and Theatre of Blacks in Cuban Folklore”). Pérez Firmat, Gustavo. The Cuban Condition: Translation and Identity in Modern Cuban Literature. Cambridge: Cambridge University Press, 1989. Rpt. 1997, 2006. This page was last edited on 14 March 2019, at 09:03 (UTC).